WE CARE. CALL US 24x7x365. Infoblox is available 24x7/365 days providing Care and Services with certified Infoblox engineers, operating from 4 Global Support Centers. We provide comprehensive support programs designed to address varied requirements based on your needs. Our expert teams strive to answer questions or solve technical problems as quickly and as efficiently as possible. Whether you want round-the-clock support or prioritized high-touch services, we have offerings to ensure your success. Our globally located associates work with thousands of Infoblox customers, managing more than 70,000 Infoblox appliances that ensure more than 70% of Fortune 500 companies stay online. When you need assistance, we’ve got you covered, wherever you happen to be. We’ve invested in multiple Global Support Centers (GSCs), located in the USA, India, Malaysia, and The Netherlands ensuring coverage for every time zone that you might be located in. You can reach us on the phone and online at any time of the day. Choose from our support options, including BloxCare Premium or BloxCare Elite options, based on your needs. No problem. You get that and much more with our Technical Account Manager offering. BloxCare Premium Maintenance: Our most popular service offering from our Global Support Centers staffed with the industry’s most highly qualified technical teams, 24x7/365. Support is provided via toll free phone, email, and our world-class online support portal and software download center for access to software updates and patches, self-help Knowledge Base tools with subscription to advisories ranging from maintenance to security-related alerts. BloxCare Elite Maintenance: Adds faster SLAs, a dedicated 24x7 support line, and a closer Infoblox partnership with your business. Additional services include case prioritization, prompt management reviews and escalations, third-party collaborative support, product recommendations, prioritized feature requests and access to beta releases of future Infoblox products. BloxCare Technical Account Manager (TAM): An add-on service to BloxCare Premium Care and BloxCare Elite, the TAM service from Infoblox provides you with a proactive advocate and Infoblox expert embedded as a virtual member of your team. 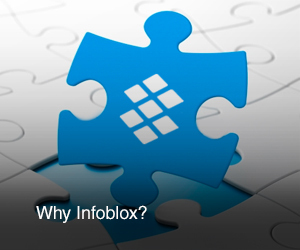 “An Infoblox TAM is your single point of contact who is backed by Infoblox Global Service Centers. Your TAM guides your Infoblox solutions to achieve operational efficiencies based on success factors established in partnership with you. 1 See Infoblox Maintenance terms and conditions. 2 View Product support and End-of-Life policies. 3 1yr hardware and 90 days software warranty is included for all Infoblox products.